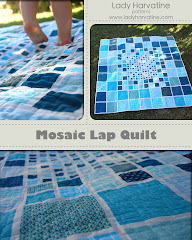 The LA Modern Quilt Guild had a holiday swap back in December and I had to make something for Andrew (maker of this awesome quilt). He sent me a picture of the curtains he has in his house and I based the colors on that. The pattern pieces are squashed half hexagons. 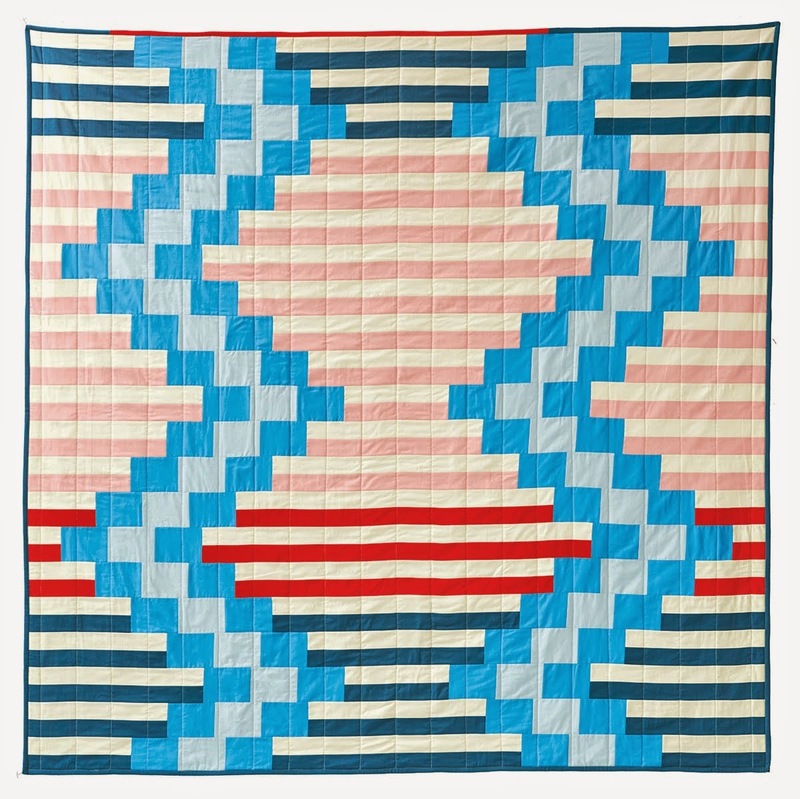 I sewed them into rows to end up with pairs of like colored pieces sewn the "right" way (into squashed hexagons) alternating with pieces sewn "backwards" (the hour glass shapes). I bought the ENORMOUS pillow form at Ikea. It's a great pillow and it only cost (I think) six dollars. I'd call that a steal, as long as you have a need for something so huge in your life. It would make a great floor pillow. Love that pillow! 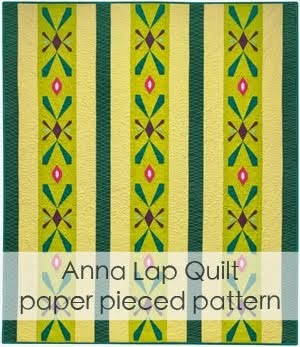 I did a quilt recently using all solids and loved it! Solids are so fun to work with. 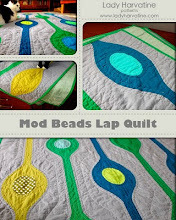 And I like you Mod Beads lap quilt. I love your pillow. I am so glad I found this blog. I think I need a pillow like this one. Half hexies are great. Love the pillow. 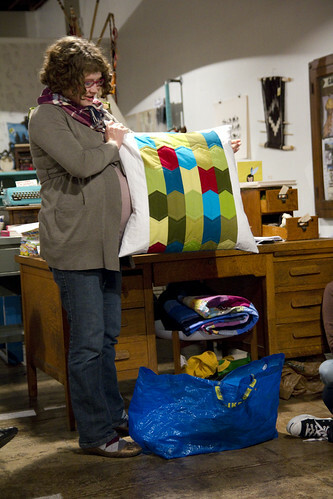 I've never made half hexies...looks like a good excuse for a tutorial. I love the pillow. It matches everything in my apartment. You can have the pillow placed in a contemporary sofa. It also looks cool in the bedroom.